Most students would probably agree that having no homework is a great idea. 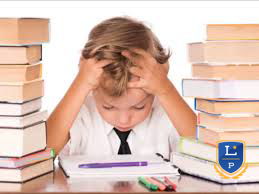 Having more time to play outside, ride skateboards or bikes, hang out with friends, read, or take part in some craft, skill, or hobby are all benefits LEADPrep students enjoy with flipped learning and not having hours of homework to complete every night. The country of Finland apparently agrees. There is no homework in Finland, and hasn’t been for years. Check out this infographic ( or see below) for some interesting comparisons between education in Finland and education here in the US. But are they good students? Even without doing homework 93% of Finnish students graduate from high school, compared to 75% in the US. Of course, not having homework is not the ONLY reason why they have such a high graduation rate, but clearly it’s not hurting! Finnish students have some other great perks, along with not having to do homework. In US public schools there are many standardized tests, where in Finland they have almost none. Finland has 12 students to each teacher; in the US it is double. LEADPrep has one teacher per eight students. This low ratio gives each student more one on one time with their teacher, which is often a stimulus for growth. It’s not ALL about the homework, but at LEADPrep it’s a step in the right direction.